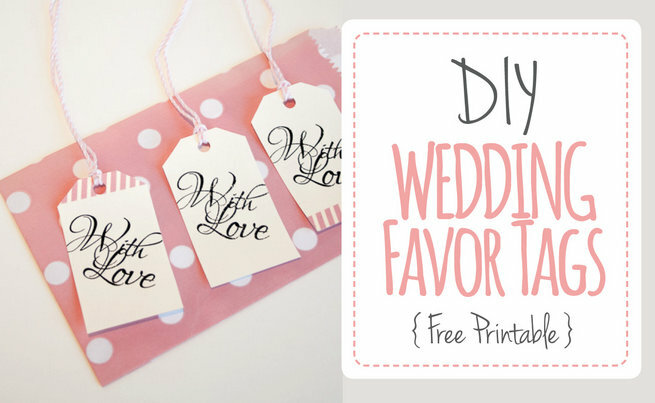 Today’s free printable download, these pretty “With Love” favor tags makes it easy to thank your wedding guests. 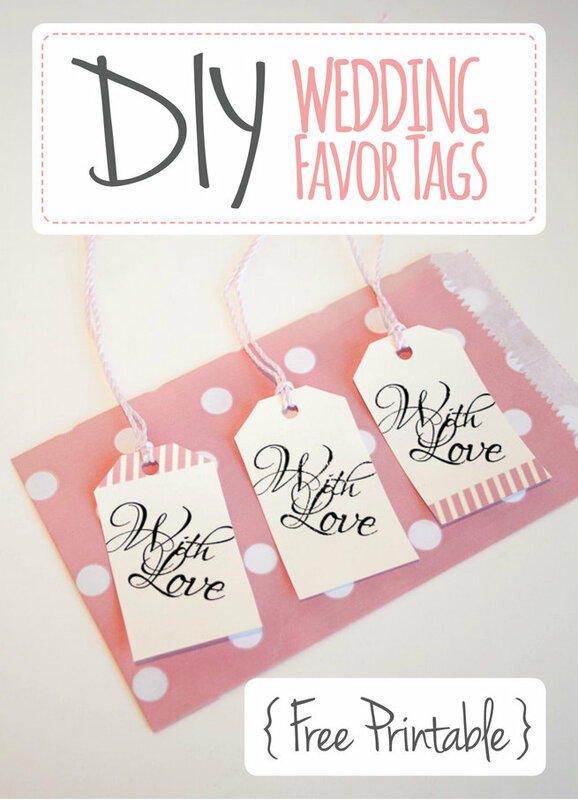 Just print out these luggage tags and attach to your wedding favors in moments! You might wish to print them on regular white cardstock and decorate with washi tape in a pattern and color that suits your wedding palette like we did for a fun effect, or perhaps print them on coloured cardstock. 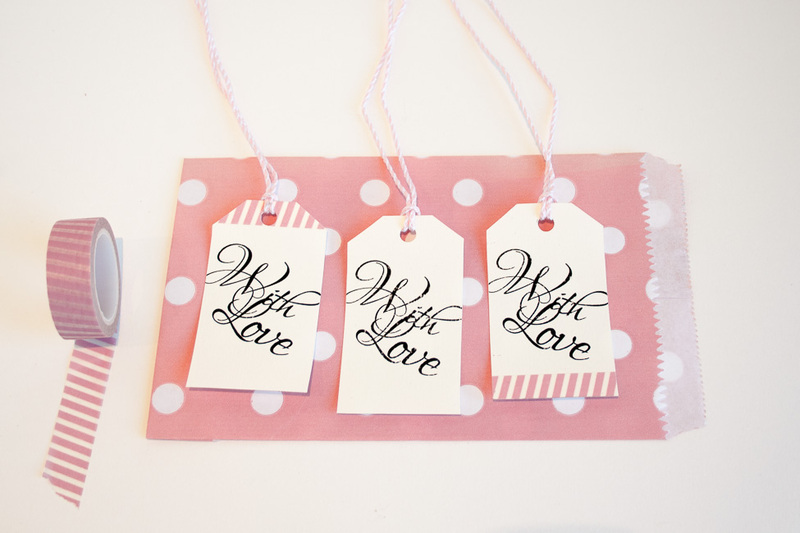 These luggage tags have been created using a beautiful script font that would look gorgeous at a vintage style wedding. Download and print the free printable on the thickest piece of cardstock your printable will allow. 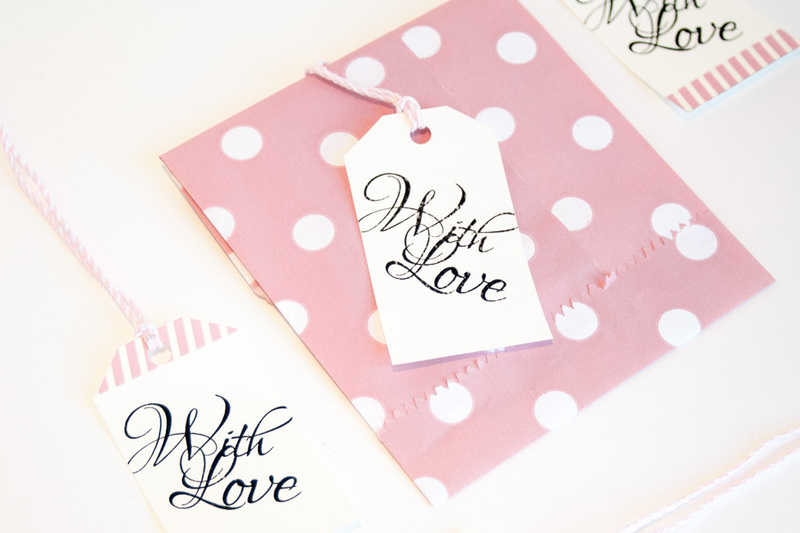 The printable sheet will print 12 With Love wedding favor tags per Letter / A4 page. Cut out luggage tag shapes. Punch a hole at the top of each tag to thread twine or ribbon through. You can use a regular punch found at any office supply store. You’ll probably have one at home or the office already. (Optional) decorate with washi tape. Thread twiner or ribbon, and you’re done! Grab your printable & get our latest articles straight to your inbox! We’ll never share your email address. We hate spam too! gain access to this freebie and more by visiting the downloads section.